Ellie Ballantyne and Jack Turlock descend from rival families, but a terrible storm brings them together temporarily until Jack can return Ellie home. Once home, Ellie feels strangely out of place, as if things are not what they seem. Determined to use her finishing school training to benefit others, she opens a day school for young ladies. Chloe Turlock, Jack's younger sister, is especially in need of Ellie's instruction. As Ellie attempts to mold Chloe into a lady, Ellie finds herself increasingly drawn to Jack. A public, social rivalry isn't the only thing standing between Ellie and Jack. Both of their families have secrets of life and death importance. Although loyalty constrains Ellie to her family, will love find a way to flourish between her and Jack? Find out in Love's Awakening by Laura Frantz. Love's Awakening is the second installment in The Ballantyne Legacy series by Laura Frantz. I do recommend reading them in order. Some general background information from the first novel in the series, Love's Reckoning, is provided. However, there were some vague references to events in Love's Reckoning that I couldn't completely recall even though I read it just last year. I was pretty much hooked by Love's Awakening from Jack's first glimpse of Ellie in chapter one. The chemistry between the two characters and the adverse circumstances surrounding them made for a captivating story. As usual, Frantz's writing style was both beautiful and admirable. The story pace never dragged and Frantz added unique twists that kept the story fresh. 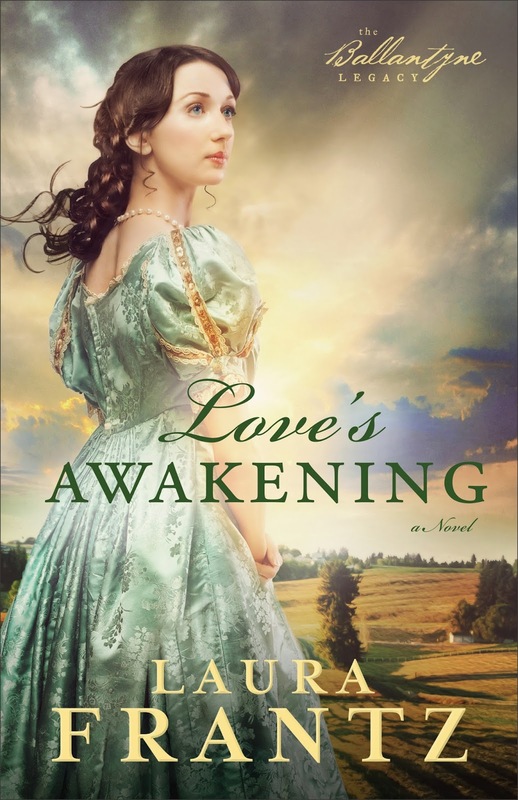 I highly recommend Love's Awakening to fans of Christian historical romance. It's in my top three favorite books I've read this year and I know I'll reread it again in the future. Definitely a keeper! Available August 2013 at your favorite bookseller, from Revell, a division of Baker Publishing Group. Read an excerpt from Love's Awakening by Laura Frantz on Revell's website. Jolene, A beautiful review! Love your insights into the story and that it's one of your favorites for the year. That means more than I can say. Bless you and your heart for books!